Revenue share sites like Yahoo! Contributor Network, Hubpages, and Squidoo can be a great way to make extra income writing, because they allow you to write on topics that you’re passionate about, rather than topics that someone else wants you to write about. But the question is how do you go about making money on these sites, especially when most of them pay so little? 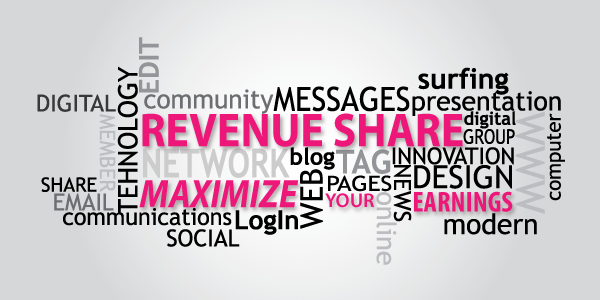 This blog post will provide some tips for making money on revenue share sites. When you write on revenue share sites, you also want to be sure to read other people’s work as well. The reason for this is that when you read other people’s work, they’ll most likely return the favor – as a result, you may gain a new follower. Don’t just write for one site exclusively, try to find a few different sites you can write on. I write articles for Yahoo! Voices, as well as Hubpages, and I also occasionally publish lenses on Squidoo. This means more exposure for your articles, so take advantage of that option if you can. For example, you can publish content on Yahoo! Voices that you’ve already published on other sites if you choose the “Display Only” option. However, if you try to publish something on Hubpages that you’ve already published somewhere else, for example, you’ll have to either change it substantially or else not publish it at all, because Hubpages has rules about publishing content that’s already been published elsewhere on the web, and they will check to see if it’s been published elsewhere, whether it’s by you or someone else. Articles on certain subjects may get more traffic than other articles – try to find out which subjects get the most traffic, and write articles on those topics if you can. If the site allows it, and if the article is relevant to the site’s topic, promote other articles that you’ve written by mentioning them and including a link. For example, I try to promote my health-related articles on sites that I belong to that have to do with healthcare, and I try to publish my work from home articles on websites having to do with working from home. These are just a few suggestions to maximize your earning potential on revenue share sites – if you write for revenue share sites and have other suggestions that have worked well for you, I’d love to hear them!